Any who, no chocolate chips it was and this cake came out super moist and really delicious. This is one of those times when it is really good I can take cake to the office...or I might have eaten the entire thing, instead of just 3 or 4 pieces....um yeah. In all seriousness, there is just the right hint of lemon and the strawberries cook just the right amount and are super sweet and complement the lemons well. This is the perfect start of spring cake. Give it a try and Enjoy! Once again sometimes it is the smallest things in life that can bring a smile to your face...like music and dancing on a sidewalk in DC, on a spring night. Oh yeah, it is totally that time of year again. 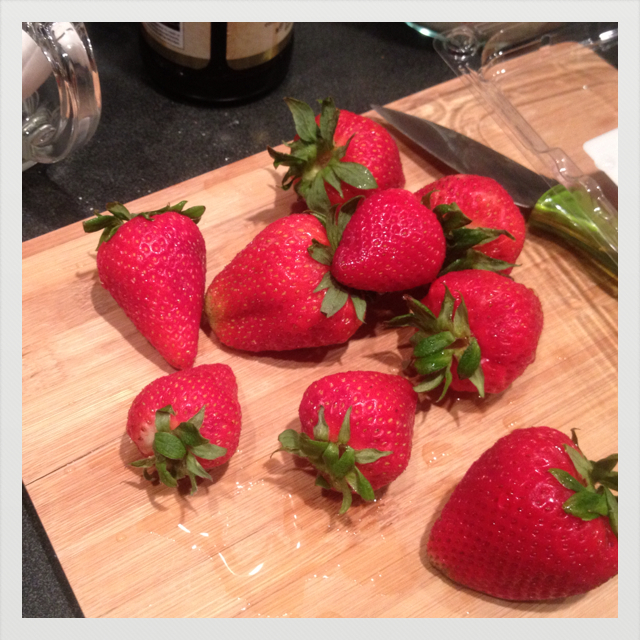 Hello strawberries! 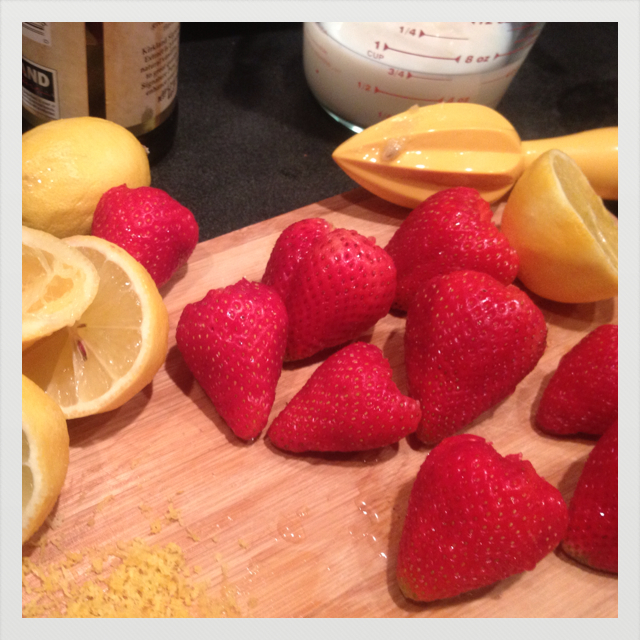 Strawberries meet lemons...together you will form a delicious pound cake..
1. Preheat oven to 350 degrees F. Spray a pound cake pan with non-stick cooking spray and dust with powered sugar. 2. In a large mixing bowl, cream together butter and sugar until well combined. Whisk in the eggs, one at a time. 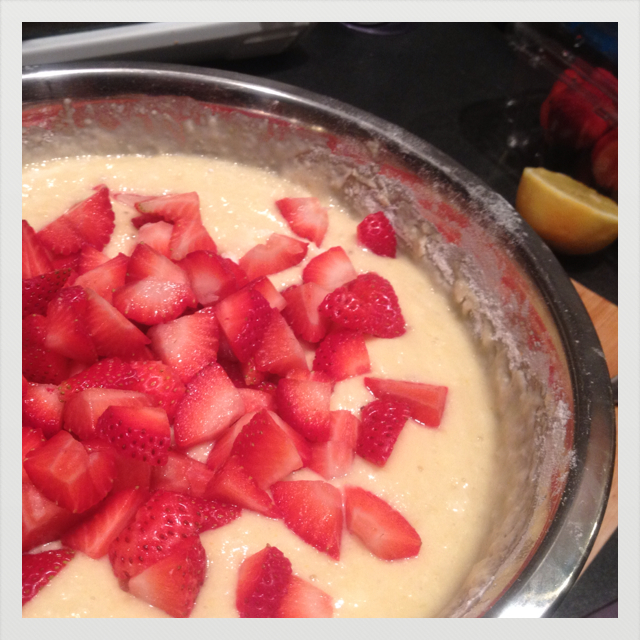 Then whisk in the vanilla extract, lemon zest and lemon juice until well combined. 3. In a medium sized mixing bowl, whisk together flour, baking powder, baking soda and kosher salt. 4. Whisk the dry ingredients in to the wet ingredients, alternating between adding the dry ingredients and buttermilk, beginning and ending with the dry ingredients, just until combined. 5. 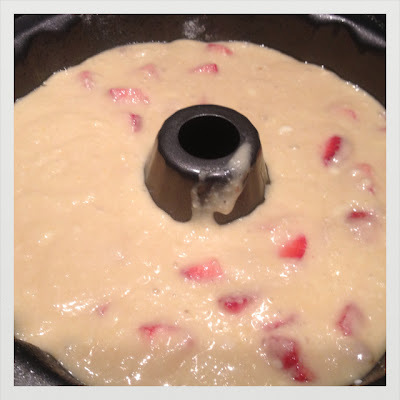 Fold the strawberries into the batter and then pour the batter into the prepared cake pan. Bake for 45 minutes to an hour, or until toothpick comes out clean. Let cake cool in pan for 10 minutes on a wire rack. Carefully remove the cake from the pan. If it seems to be sticking, carefully run a knife around outside of the pan. Enjoy! This cake might come out gooey, but it will be delicious! This. Looks. Delicious. YAY SPRING! We're so happy you're here. Hi, this looks delicious! How many strawberries should be used? Thank you! So very sorry for not including, 8-10 strawberries cut into 1/2 inch pieces. Thank you! 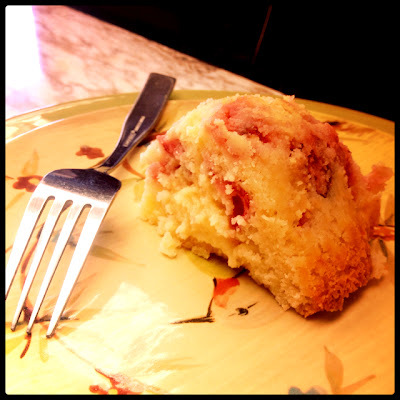 I made the recipe and my office mates LOVED IT!!!! I really enjoy following you and your recipes, I visited you at the Grey Market in DC a few months back, your stuff really is terrific! Thank you so much for following! I am so glad your office mates enjoyed the cake! This cake is now my absolute favorite! Thanks so much for the recipe! I am so glad! I am ready to make it again this spring! Do you think this cake would work as cupcakes for a 2yr old bday? What suggestions might you have for changing the recipe to accommodate that? Okay so I tried out making them as cupcakes this week and they work! The full recipe would make about 2 dozen cupcakes. Just bake them for 26-28 minutes. I know this seems like a long time but these would be very moist cupcakes because of the buttermilk, lemon juice and strawberries. The folks at my office definitely enjoyed them this week! Enjoy!